AT THE HEART OF ASIA lies a desert vaster than the Gobi, more remote than the Sahara, and more hostile than both. No traveller has a good word to say for it. Sandstorms, hurricanes and wailing demons are among the hazards reported by those who have survived a crossing of this Taklamakan Desert  which means, in the local Uyghur language, ‘Go in and you won’t come out’. For 2,000 years the Silk Road traveller had to surmount obstacles such as these. Marco Polo conquered and chronicled them, followed by others through the ages until in 1948 western China was closed to the outside world. In the 1980s it once more became possible to follow the routes taken by the early traders, and John was among the first to do so. Marco Polo reported attacks by brigands; the modern adventurer is plagued by policemen, army patrols and immigration officers. John was detained twice in Turkey, rebuffed by Syria and war-torn Iran, and taken in for his own safety by Baluchistan police. Entering China, he had a close encounter with guards near the Soviet border, but friendly Kyrgyz nomads helped him onwards across the Pamir Mountains  the Roof of the World. One even let him ride his camel. He continued for 1,000 miles across forbidden territory before being arrested once again near Lop Nur, the Chinese nuclear testing ground. Remarkably, after delicate negotiations, he was let off with a self-criticism and allowed to continue to the Yellow Sea. Throughout his 8,000-mile journey John was aided and abetted by local people, and his book provides an insight into lifestyles which have changed little since Marco Polos time. Incorporating too the experiences of earlier travellers, this book will appeal to anyone with a delight in faraway places, a curiosity about history and a taste for travel stories with a human touch. Part of the proceeds from this book go to the charity Practical Action, which helps people in the developing world to work themselves out of poverty and so become less dependent on others. 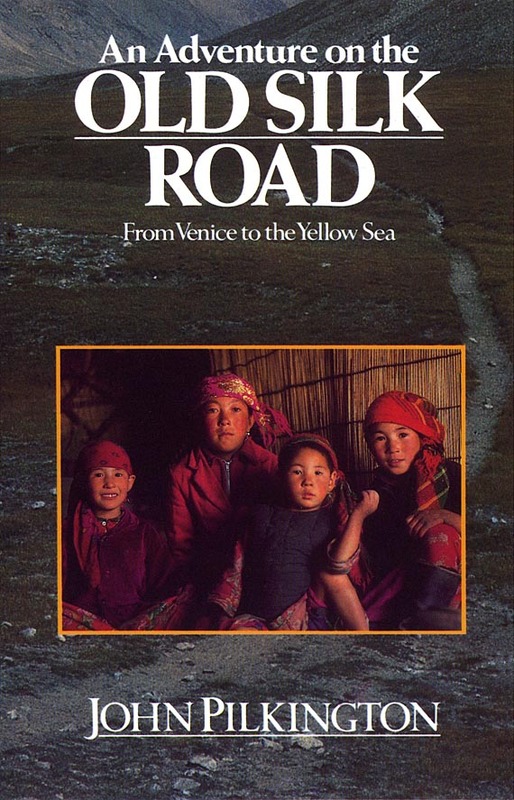 An Adventure on the Old Silk Road by John Pilkington: 200pp + 8pp colour plates; first published 1989 by Century; reprinted 1989 (twice), 1994, 1997 and 2002; reprinted with revisions 2007 and 2010; price £16.95 plus postage. The price including postage is GBP21.00 (UK) or GBP29.00 (worldwide). John can accept online payments in 22 currencies including pounds sterling, euros and US, Canadian, Australian and Hong Kong dollars. Click here for a list of currencies. Click here for conversion rates. Click one of the Order Now buttons to order online via PayPal. Your transaction will be encrypted and your credit/debit card details kept secure. Cheques should be made out to John Pilkington and include a UK sort code. We’re sorry but John can only accept cheques drawn in sterling. John dispatches most orders within 24 hours. Items to UK addresses are sent by first class post, and to other destinations by airmail. Dont forget to say if youd like the book signed with a special dedication!